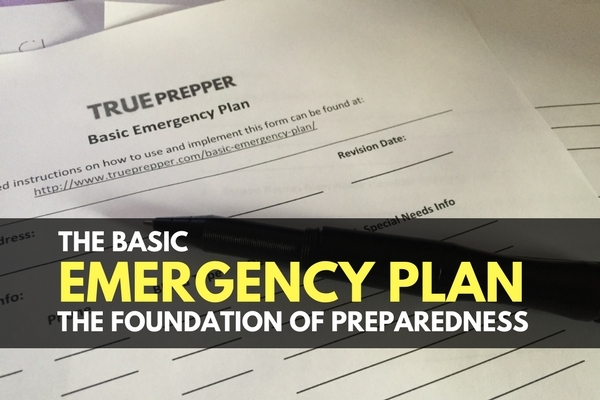 A basic emergency plan is where prepping starts. It is the catch-all plan for daily problems and personal emergencies we all face. They are very easy to make and communicate to the rest of your family. It is just a 3 step process to keep you and your family safe during an emergency. We’ve also set up an easy to use template to print off and use. Feel free to share the template with your friends and family to make sure they are prepared for the worst. Basic emergencies are almost a unilateral threat to every household. You will want to at least prepare for fires, home invasions, and power outages. Check out our TrueRisk index to find threat categories that can affect you and your family based on our weighted risk assessment. Your location can affect your risk level for most natural disasters, so conducting your own risk assessment can be very helpful. In your plan, you need to detail out various responsibilities and who is accountable for them. Be sure to assign each person in your family or group a responsibility, even if it is a small one. Having a purpose in an emergency can be beneficial for anyone affected. Even a small pre-assigned task can help family members not ‘freeze up’ or act unpredictably. Practice make perfect. Or at least it helps you avoid a family disaster when an emergency happens. Learn the potential hiccups and pitfalls of your plan before you have to use it when it matters. Don’t get caught off guard by a poorly communicated change. Keep everyone up to date when you first make the plan, and with every change. Make sure everyone knows where the plan is kept and has access to it in an emergency. Fill in your last name and home address and the date you are revising your plan. Fill in your family info, including yourself. Put the main contact at the top line. The name field is for your first name or what you go by. The best phone to reach you (usually a cell phone), your blood type, and any extra descriptions, medical info, or special needs. I typically include allergy information in this area even though it is redundant with your medical files. Pet info is straightforward- list all of your pets whether you plan to evacuate with or without them. We will get to that in a later section. Fill in your outside emergency contact. This should be a trustworthy person that doesn’t live in the same place as you. Fill in any school or daycare information as applicable and you should have the entire first page filled out! The action plan is easy to fill out once you get it going. 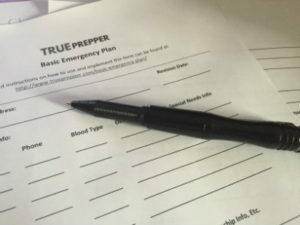 First you will need to write down the threats that you are specifically preparing for. List escape routes from your home to your outside gathering area as best you can, and attach a map with a drawing if you are able to. List your local evacuation point where you will meet if there is a fire or localized disaster at your house. List your distant evacuation point (or Bug out Location) where you will meet if there is a regional or geographical disaster or emergency. Describe the route you will take to get to your Bug out Location. Attaching a map is extremely helpful. Describe the alternate route you will take to get to your Bug out Location. Again, attaching a map is a good idea. Consider possible road blockage and other risks you could encounter that will force you to use this route. Select a room in your house as your designated Shelter in Place room. Record it’s location and attach a supply list according to your home’s needs. Select a room in your house as your designated Panic room. It can be the same as the shelter in place room if it is convenient and works well. The panic room should be a lockable room with supplies and weapons available. Again, attach a supply list to the Basic Emergency Plan. Add any additional action plans, drawings, or supply lists. Pet evacuation plans are great to add to this section if needed. We are ready to move to the last page: responsibilities. Responsibilities are easy if you live alone- you are responsible for everything! If you have a family, you want to split up responsibilities so that nothing slips through the cracks. Not only will you have accountability, but it helps your family feel involved and invested in their safety and security. Whether you assign family members or take volunteers- the decision is up to you. You know your family’s limitations and everyone should know that you all are relying on each other. Assign a family member to inventory and maintain all survival kits. This responsibility entails a lot of work and attention to detail. Kits need to be reviewed often for expired or used up items. This family member will need to be able to purchase supplies to replenish and grow kits and supplies. You can split up responsibilities between the different kits, but be sure to note who is responsible for what. Assign a family member to keep track of all communication equipment. Charging, testing, and knowing how to use it is all in the wheelhouse of this responsibility. You can pick someone that doesn’t know how to use them to teach them a valuable skill- just make sure they are a fast learner! Assign a family member to keep medical files and retrieve them before any evacuation. Assign a family member to keep financial files and retrieve them before any evacuation. Card numbers, copies of ID cards, and other information and identification files should in this category. Typically, we lump the medical and financial duties together- but you may see fit to split the duties. Assign a family member to be in charge of pet information and files. Assign a family member to review the plan with family members on a timeline. Set a future plan review date and mark your calendars to review this plan again. Add additional responsibilities or review information in the area provided. For instance, you may want to assign a responsibility to check on an older neighbor in the event of a localized disaster. The family member assigned to the plan review section should file the plan in a lockbox or safe where all individuals know how to obtain it. 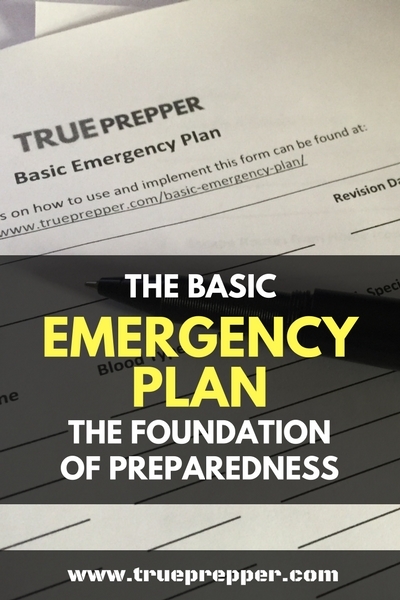 The basic emergency plan is meant to be a review to get everyone on the same page before a disaster, and then provide additional support if needed. It does contain a wealth of information that could be useful to an intruder, so treat it as the sensitive information it is. A basic emergency plan can save you and your loved one’s lives. Feel free to share our template with your friends and family to make sure they are prepared for the worst. The basic emergency plan template paired with a fire extinguisher or other safety and security gear makes a great housewarming gift! Keep exploring, stay prepared, and be safe. I was unable to download the emergency plan. How can I get a copy?